Do you have a trip planned to London? You may just want to buy the Historic Royal Palaces membership which covers the Tower of London, Hampton Court Palace, the Banqueting House, Kensington Palace and Kew Palace. These sights are also included in the 55 attractions of the London Pass which costs 82 pounds sterling per adult or 58 pounds per child for a six day period (other periods available). You could easily spend three to four hours each to properly visit the Tower of London and Hampton Court Palace. Depending on how many attractions you can realistically visit in one day, the London Pass might not be your best deal and the Historic Royal Palaces membership may be the way to go. 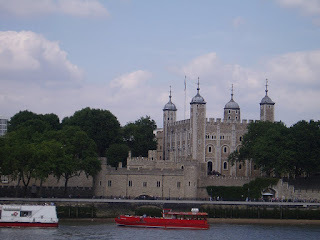 For example, if you were to stand in line and buy admissions for a family of four to Hampton Court and on another day to the Tower of London, it would cost 85 pounds for a one time visit to both sights. The Royal Palaces family membership (up to two adults and three children) costs 77 pounds and lasts for one year. The pass includes discounts at the gift shops, the privilege of skipping the regular admission line and includes entrance to the other royal palaces. That's pretty good advice that most visitors to London don't think about. It's also worth remembering that eating out in London is expensive so the EPok London Pack is something to consider getting. It gives 2 for 1 offers and discounts on eating out. Thanks for the tip. I will check it out on my next visit.